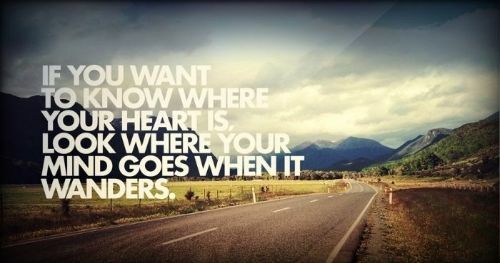 If you want to know where your heart is, look where your mind wanders. In order for us to truly know where our heart is, we need to sometimes look to what we often think about in our daydreams, and what we dream about at night. Sometimes in order for us to find our passion we must look into the thing that our mind always has us thinking about. If you notice that your mind wanders about one specific thing constantly it may be because at your hearts level you know that this thing is something you should be putting your heart into. It's really hard to decide when you're too tired to hold on. 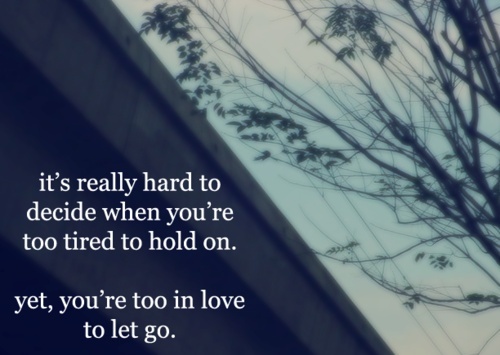 Yet, you're too in love to let go. 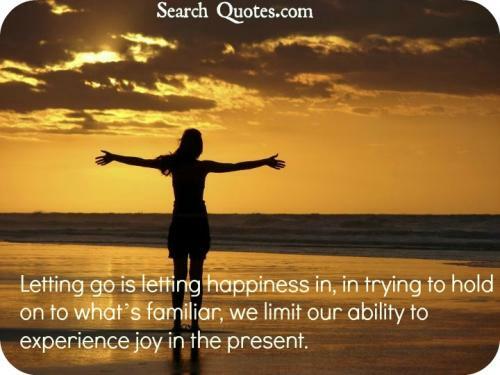 Letting go is letting happiness in, in trying to hold on to what's familiar, we limit our ability to experience joy in the present. In a life riddled with unexpected changes, and disappointments, we are forced to have to let go of some of the negative forces in our lives at different times so that we may stay afloat and keep swimming in this ocean of a life.